Zucchini is a green summer squash, which means that, unlike winter squashes, it has edible skin and can be eaten raw. Like a lot of fresh produce, zucchini is pretty perishable, lasting a week at the most in its fresh state with proper handling. Your zucchini recipes will definitely benefit if you know how to select the best specimens, how to store them and how to tell when it's time to toss them. First, when it comes to picking the tastiest summer squashes, size matters. Choose a zucchini that's less than 8 inches long, shooting for around 6 inches. Longer ones are bound to be at least somewhat bitter, with bitterness generally increasing as the length increases beyond 8 inches. Fresh, quality zucchinis feel heavy for their size and have smooth, slightly shiny skin. You don't want zucchini hard as a rock, but it should be fairly firm throughout. There shouldn't be any wrinkling, shriveling, nicks, cuts, blemishes, bruises or other visible damage, and certainly stay away from any zucchini with mold growth or any sort of whitish liquid seeping through the skin. You can leave fresh, healthy uncut zucchini out at room temperature, but it will usually stay in peak condition for only two or three days this way. 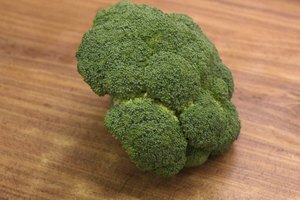 It's better to refrigerate it whole, in an unsealed plastic produce bag in the vegetable drawer where it should last for five to seven days. Don't wash it until you're planning to use it, as moisture during storage can accelerate the spoiling process. Once zucchini is cooked, you can hang on to it for a couple of days in the refrigerator. Keep it in an airtight container or baggie. If you have summer squashes you can't get through fast enough, freezing zucchini is an option for long-term storage. But, as with most raw produce, it's advisable to blanch it first, lest you end up with overly mushy zucchini that has an off taste once it thaws out. 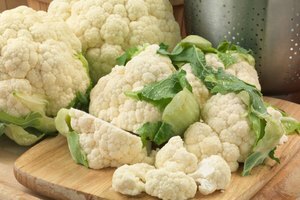 Blanching is a process that very briefly cooks produce to deactivate certain enzymes that cause rotting. Bring a large pot of unsalted water to a boil over high heat, chop the zucchini into slices or strips and get a large bowl or pot of ice water ready in the sink. Boil the zucchini for one minute only, then promptly strain it and submerge it in the ice bath to stop further cooking. Dry the zucchini thoroughly before freezing. If possible, vacuum seal it; otherwise, pack it in a freezer bag with about one-half inch of head space, forcing out as much air as you can while sealing the bag. If you don't want to end up with one large mass of frozen zucchini, first freeze the pieces in a single layer on a tray, then pack them in the freezer bag. Frozen zucchini – raw or cooked – will technically stay good indefinitely, but aim to use it within two or three months tops if you're concerned about declining quality. Wondering whether you can still eat that zucchini you just stumbled across in the back of the vegetable crisper? 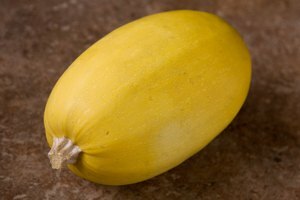 A bad smell, mold or a thick, whitish, liquid substance are sure signs that the squash belongs in the garbage, not your belly. If the zucchini is shriveled or has soft spots, if the skin is wrinkling or if you cut into it and it's mushy inside, it's also time to toss it. If you have zucchini that's a little past its prime, but doesn't seem to warrant disposal, use it to make zucchini bread or muffins, where a minor loss of freshness and quality won't be noticeable. Eat By Date: How Long Does Zucchini Last?